Parallel to my books about India and its animals, I have created picture shows  a combination of photos and sounds, where I narrate my experiences. 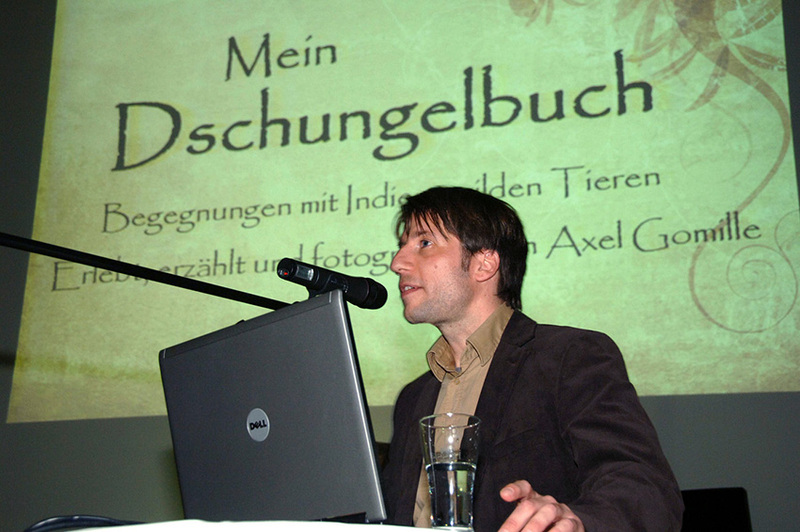 I have presented these at numerous well-known venues like the Weitsicht Festival, Grenzgang, Wunderwelten Festival, Traum & Abenteuer, Globetrotter, Society of German Nature Photographers (GDT), Internationale Fürstenfelder Naturfototage (Glanzlichter), the Senckenberg Museum, the Frankfurt Zoo and others. If you're interested in these shows, you can book me as a presenter.